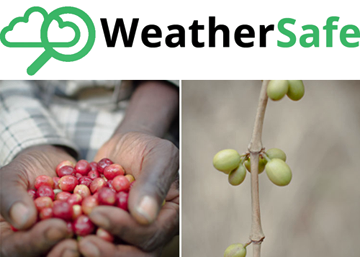 Earth-i has teamed up with WeatherSafe to support the coffee farmers of Burundi through Earth-i’s ACCORD program. ACCORD combines very high resolution satellite imagery with crop analysis to provide stakeholders with critical insights on key coffee farming decisions to improve crop quality , thereby supporting sustainable growth for coffee farmers large and small. A staggering 30 percent of Burundi’s population depends upon coffee production as their primary source of income— any increase in the yield and quality of this crop will have a marked effect upon the nation’s GDP and help drive economic development throughout the country. Given that current yields are only about a fifth of those seen in Asia and Central America, there is significant scope to improve productivity if threats such as coffee leaf rust and parasites can be successfully contained. To assist PRODEMA in meeting the goals of its coffee sector support project, Earth-i and WeatherSafe will fulfill a number of vital functions. These include combining satellite imagery — such as that provided by the British built DMC3 satellites — with algorithms to automatically identify coffee plantation plots from satellite imagery, as well as extracting key features such as roads and coffee washing stations and provide an estimation of the number of trees. Earth-i and WeatherSafe will conduct analysis to estimate the yields of those farms. All of this information will be provided through a geo-referenced database. Local ground surveys will validate the results, which are expected to provide real insights to the Burundi coffee industry, with the stated aim of helping to improve the competitiveness of the coffee industry in Burundi. Commenting on the project award, CEO of Earth-i Richard Blain stated that the combination of the technologies from these companies will provide a powerful new capability to the coffee farmers in Burundi, and is a perfect example of how data from space can make a real difference to people’s lives.